Enterprise Nation: Speak so the audience listens | Nadine Dereza is an award winning journalist, experienced business presenter, conference host and co-author of 'Insider Secrets of Public Speaking'. | Nadine Dereza is an award winning journalist, experienced business presenter, conference host and co-author of 'Insider Secrets of Public Speaking'. Coaching is our bread-and-butter at PS Programmes Towers. Client confidentiality is something we take very seriously, and as such we wouldn’t dream of spilling the beans on our dazzling roster of celebrity clients, however many times they are on TV and radio or however many international businesses they run. Our silence is sacrosanct: we prefer to let innuendo do the talking. Group training, though, is a different matter. We’ve delivered workshops to organisations and businesses from restaurants to financial institutions via universities, social clubs and entrepreneurs’ meetings, about which we are happy to sing like canaries. Our workshop for Enterprise Nation last week is a great example of how bringing together a superficially disparate group of individuals can leave everyone better off. 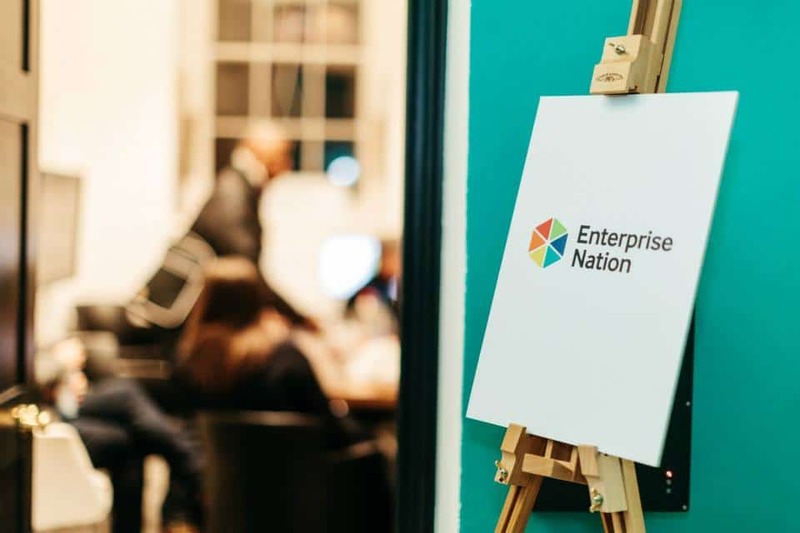 We were one of a series of inspirational business events – see the Enterprise Nation website for details of the full programme that support their aims of helping new businesses negotiate the road from the idea stage through start up and on to success. What is the appeal of group coaching? The first is that although you always get a mix of people, the issues they have often overlap. Take the 6’5″ director of a company supplying security staff who attended the Enterprise Nation workshop: as an ex-bouncer, you could pop him in a situation most of us would dread – facing down an aggressive drunk – and he’d be squarely in his comfort zone. Pitching his business to potential clients, however, caused him sleepless nights. Compare the chef from a very successful catering company who was brilliant at creating good-looking and delicious plates of food, but who struggled to explain how. There was one major issue that struck a nerve across the group: with our participants regularly facing examination by panels of bosses, potential clients and investors, how do you handle those difficult, curve-ball questions? With difficult questions, we always counsel to stay in control, be honest about what you don’t know, and end on a positive note. Depending on how important the answer is, you may answer with the qualifier, ‘I’m not sure, but I think that…’ or have a straightforward, ‘I don’t know, but I can get back to you.’ Admissions of ignorance are usually stronger positions to take than fudging an answer that some of the room knows to be wrong, the others discover is wrong when they look up the facts for themselves, and which nobody trusts while you’re saying it. Everyone is allowed gaps in their knowledge, and admitting to it up front, stops these gaps from polluting the rest of your speech with uncertainty. Finishing on a positive note (especially for a negatively worded question) is also helpful: ‘What are your faults?’ is the classic interview question, and if you can spin this in an up-beat way, you’re well placed to work the same magic on tricky questions that come over the footlights. We stand by our opinion that most audiences want you to do well, and think it worth pointing out that a question designed to trip you up is not the same as a question that is merely difficult: you are meant to be an expert after all. In either case, try not to take a tough Q&A session too personally. Handling an intimidating Q&A is one of those skills that feels entirely separate from the day to day business of doing your job. The fact is that time and time again, we encounter people who are brilliant at their jobs, but in order to take their career to the next level, have to overcome the hurdle of telling others about it. When clients notice that their issues are the same as the others, there is a strong bonding feeling within the group. They begin to help each other, share their learning and make connections that flourish beyond the confines of the session. We always tell clients that they won’t leave the session as polished professionals, but they will have a better understanding of what excellence looks like, and how to progress on their journey towards it. Making contacts within a group is a great way of setting up mentoring relationships (to put a very formal tag on an informal arrangement). The other appealing thing about group coaching is that each session has its own vibe. PS Programmes sent someone down to a community college his week to run a workshop for young people who had been expelled from various local schools. Given this group’s track record with the teaching profession, some might find this an intimidating collection of people to stand in front of, but we are not the teaching profession. The group was made up of 16-to-18 year olds who had the sort of backgrounds that needed to be overcome: drugs, abuse, mental illness and every other social problem imaginable. Comparing and contrasting this to the coach’s last job with this age group – at an £11,000-a-term private school – made for an interesting conversation back at PSP Towers: the private school students were more confident, forthright and comfortable discussing ideas; the community college students laughed more, needed more signposting but were every bit as respectful, interested and involved. The questions they asked weren’t markedly different to the ones asked at the private school – or the ones asked at Enterprise Nation, come to that. It is the lot of the coach to work always with people whose knowledge in a particular area is far superior to the coach’s. Our job as speaker coaches is merely to give them a nudge in the direction of our expertise: communicating that ability to an audience. Everyone has a story somewhere that can move, motivate or inspire an audience. The only person who can tell it is the person who owns it. As coaches we help people discover their stories, dust them down, and frame them to best effect. And our first step in achieving this is sometimes in allowing our client to believe that their story is deserving of an audience. Our next public speaking workshop at Enterprise Nation is on Thursday 28 May 2015, booking for this event has just opened.